You’ve heard about gateway drugs, right? Well, science has gateways, too. And PaleoFest is an event that just might lead you or your child to an exciting journey of discoveries. Open your e-magazine now to learn more about PaleoFest. 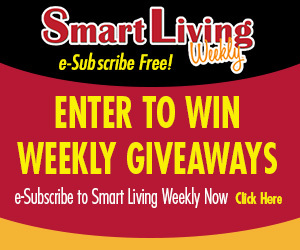 Congratulations to Julie Miller of Rock City, this week’s Smart Living Weekly giveaway winner! Julie takes home a $25 gift card to GreenFire, in Rockford. This entry was posted on Wednesday, March 1st, 2017 at 5:00 am	and is filed under News & Events, Smart Living Weekly. You can follow any responses to this entry through the RSS 2.0 feed. Both comments and pings are currently closed.